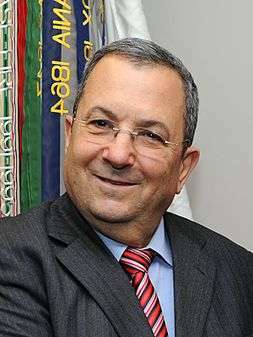 Ehud Barak (Hebrew: אֵהוּד בָּרָק‎ , born Ehud Brog; 12 February 1942) is an Israeli politician who served as Prime Minister from 1999 to 2001. He was leader of the Labor Party until January 2011. He previously held the posts of Minister of Defense and Deputy Prime Minister in Benjamin Netanyahu's second government from 2009 to 2013. During his service as a commando in the elite Sayeret Matkal, Barak led several highly acclaimed operations, such as: "Operation Isotope", the mission to free the hostages on board the hijacked Sabena Flight 571 at Lod Airport in 1972; the 1973 covert mission Operation Spring of Youth in Beirut, in which he was disguised as a woman to kill members of the Palestine Liberation Organization; Barak was also a key architect of the June 1976 Operation Entebbe, another rescue mission to free the hostages of the Air France aircraft hijacked by terrorists and forced to land at the Entebbe Airport in Uganda. These highly acclaimed operations, along with Operation Bayonet, led to the dismantling of Palestinian terrorist cell Black September. It has been alluded that Barak also masterminded the Tunis Raid on 16 April 1988, in which PLO leader Abu Jihad was killed. ↑ Rebecca Anna Stoil (17 January 2011). "Barak, 4 other MKs, to split from". The Jerusalem Post. Archived from the original on 4 March 2013. Retrieved 14 March 2013. ↑ "RT Ehud Barak to step down as Israeli Defense Minister, retire from politics". Russia. RT. 26 November 2012. Archived from the original on 28 June 2013. Retrieved 14 March 2013. ↑ "Biography and Video Interview of Ehud Barak at Academy of Achievement". San Antonio, Texas: Achievement. 4 May 2001. Archived from the original on 12 May 2013. Retrieved 14 March 2013. ↑ Weitz, Gidi (9 May 2011). "Peace, politics, and Patek Philippe: An interview with Ehud Barak". Haaretz. Archived from the original on 27 November 2013. Retrieved 14 March 2013. ↑ "Long history of Israel's 'covert killing'". BBC News. 29 January 2010. Archived from the original on 1 February 2010. ↑ Offer Drori, גיבורי ישראל מרובי העיטורים – צדק היסטורי, 4 February 2009 (Hebrew) Archived 13 October 2012 at the Wayback Machine. ↑ An image of Barak receiving the award on 14 January 1993 in the Pentagon. 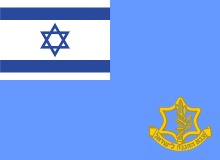 Note that according to IDF regulations foreign medals are not worn on the uniform. ↑ "Photo of the Day: Nov. 30, 2012 (Panetta, Barak Hug it Out Edition)". Defense News. 30 November 2012. Archived from the original on 4 December 2012. Retrieved 14 March 2013. ↑ "FM Barak- Address to NJCRAC – Feb 11- 1996". Mfa.gov.il. 11 February 1996. Retrieved 14 March 2013. ↑ Jimmy Carter (12 April 2012). "Don't Give Up on Mideast Peace". International Herald Tribune. Archived from the original on 15 April 2012. ↑ הועדה לגבוש ההסדר הראוי בנושא גיוס בני ישיבות - דו"ח [The Committee to Formulate the Proper Arrangement Regarding the Enlistment of Yeshiva Students - Report] (in Hebrew). Archived from the original on 21 October 2013. Retrieved 13 April 2014. ↑ Blau, Uri (24 May 2007). 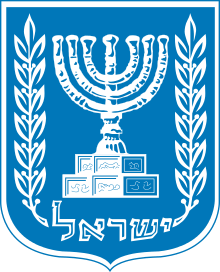 "Ehud Barak Ltd". Haaretz Daily Newspaper. Archived from the original on 11 March 2011. Retrieved 14 March 2013. ↑ "Kadima nominates Peres for president". Kuwait Times. ↑ "Former Israeli PM Barak in New Leadership Bid". Reuters. 7 January 2007. Archived from the original on 17 October 2012. ↑ Yossi Verter (3 March 2007). "Poll: Barak, Ayalon lead Peretz in the Labor leadership primaries". Haaretz. Archived from the original on 8 September 2012. Retrieved 22 September 2016. ↑ "Peretz loses Israeli party vote". BBC News. 3 January 2010. Archived from the original on 22 April 2014. Retrieved 30 May 2007. ↑ "Barak wins Labor Party primary election: party officials". International Herald Tribune. 12 June 2007. ↑ Mualem, Mazal (29 December 2010). "Barak: Anti-Arab letters by rabbis and rabbis' wives leading Israel into dark place". Haaretz. Archived from the original on 1 January 2011. Retrieved 1 January 2011. ↑ Harel, Amos. "Remember the Second Lebanon War". haaretz.com. Haaretz Daily Newspaper Ltd.
↑ "Report of the United Nations Fact Finding Mission on the Gaza Conflict" (PDF). United Nations Human Rights Council. 15 September 2009. p. 106. Retrieved 13 July 2014. ↑ Jordana Horn. "Barak at UN: Strong Israel is revenge of the Nazis' victims". The Jerusalem Post. Archived from the original on 12 February 2011. Retrieved 10 February 2011. ↑ Ryan Jones (26 November 2012). "Ehud Barak drops out of Israeli politics". Israel Today. Archived from the original on 22 October 2013. ↑ "Barak criticized over Iran comments". The Irish Times. Archived from the original on 12 January 2014. ↑ Dargis, Manohla (23 December 2005). "An Action Film About the Need to Talk". The New York Times. Archived from the original on 4 October 2014. Retrieved 18 January 2009.